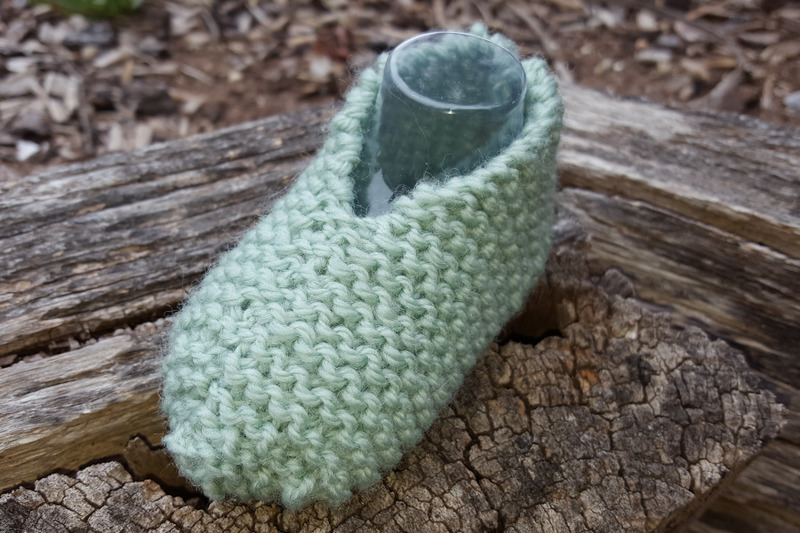 When I asked for suggestions for new pages on this site how to knit baby booties was one suggestion that many, many, people requested. So here it is. 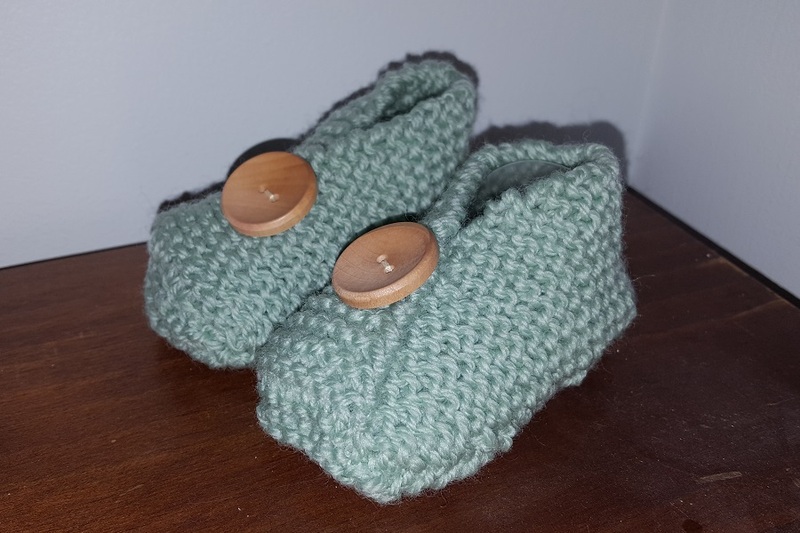 On this page we will go through the steps to knit a simple pair of booties using patterns that is suitable for beginners. 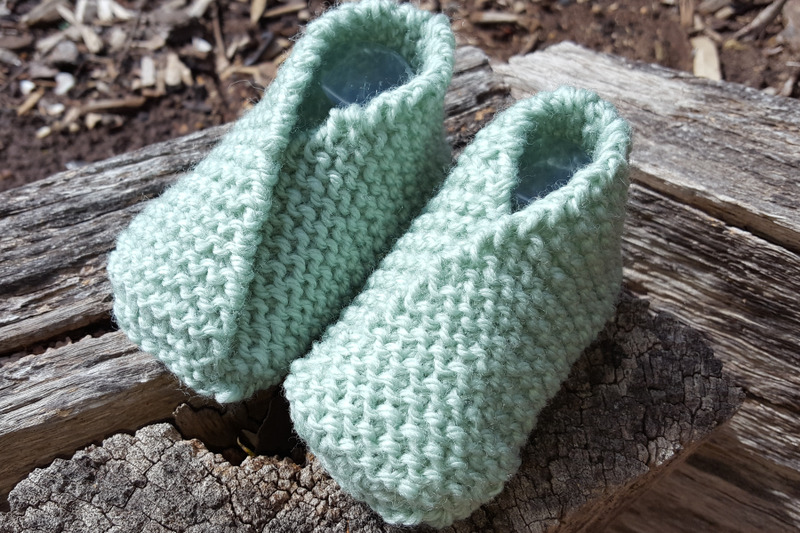 For my basic baby booties, I used Cleckheaton Country 8 Ply. This is a beautiful 100% wool yarn that you can find in most knitting stores, I use wool because I prefer using natural fibres but you can substitute for pretty much any 8 Ply (double knit, light worsted weight) yarn. The recommended tension for 8 ply is 22 sts and 30 rows over 10 centimetres on 4.0 mm needles using stocking stitch. 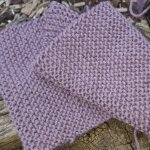 The number of rows for garter stitch is a bit higher than stocking stitch (due to the texture created by the stitch pattern) but if you can match the tension in stocking stitch, you will be okay. And although it is important to test your tension until your knitting is consistent across projects, the tension is not especially critical for this pattern. Sizes in this pattern are just estimates based on standard sizes (see the table on Knitting Booties page for the correct size for the age of your baby). If you want a perfect fit, I suggest that you measure the babies foot. 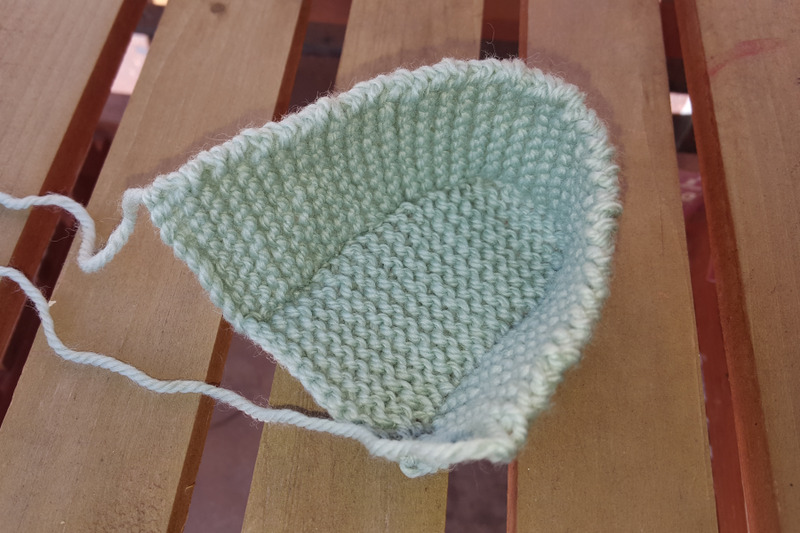 Piece 1: Cast on 10 sts using 4.00 mm needles and knit in garter stitch until the work measures 8 (9, 10) centimetres or the length of the babies foot. Piece 2: Cast on 10 sts using 4.00 mm needles and knit in garter stitch until the work measures 20 (23, 25) centimetres or long enough to go along one side, across the bottom edge and back along the second side of bootie base. 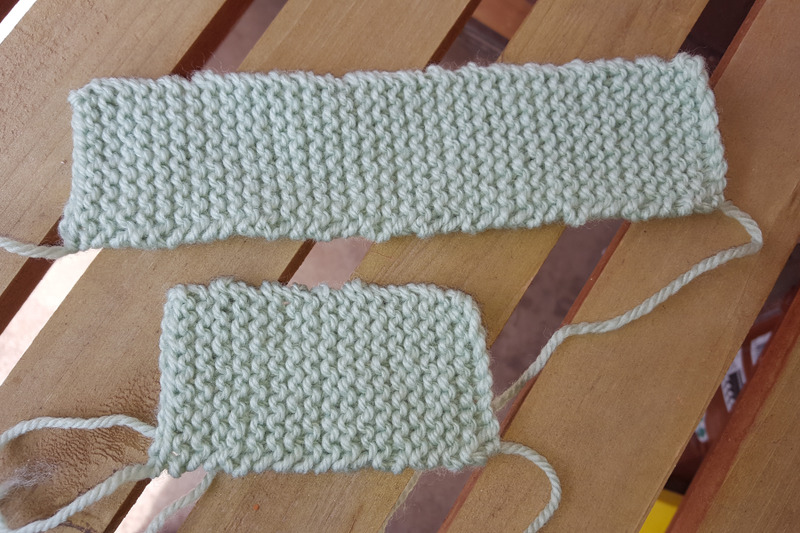 Using a knitter's sewing needle ( a blunt needle with a large eye designed for sewing up your knitting) and use an over stitch or blanket stitch to join the sides of your two pieces together starting at the cast off edge of both pieces. You start on the long side of your base, then work along the short cast on edge and then along the other long side of the base. You should now have a long rectangular box shape that is open at one end. Lay the first side down flat against the base and pin in place, then lay the second side down over the first side and secure with pins. Use an over stitch (blanket stitch) to secure both sides to the base to form the toe of your bootie. Repeat for the 2nd bootie. For my slippers, I used Cleckheaton Country 8 Ply and like for the basic booties in version 1, the recommended tension for 8 ply is 22 sts and 30 rows over 10 centimetres using stocking stitch. So if you tension was good for the previous version it will be okay to knit this slipper style version of my basic baby booties. All in 1 Piece: Cast on 24 sts using 4.00 mm needles and knit in garter stitch until the work measures 9.5 (10.5, 11.5) centimetres or the length of the babies foot plus 1/2 the width. Break yarn leaving a long tail. Using a knitter's needle thread the tail through all 6 stitches and pull tight and secure with a knot. Fold the slipper in half length-wise and sew the cast on edge together to form the heel. Using the tail at the gathered edge (the toe) sew the edges together from the toe to approximately 1/3 up the slipper towards the heel. Sew an invisible seam to avoid making the seams too chunky. 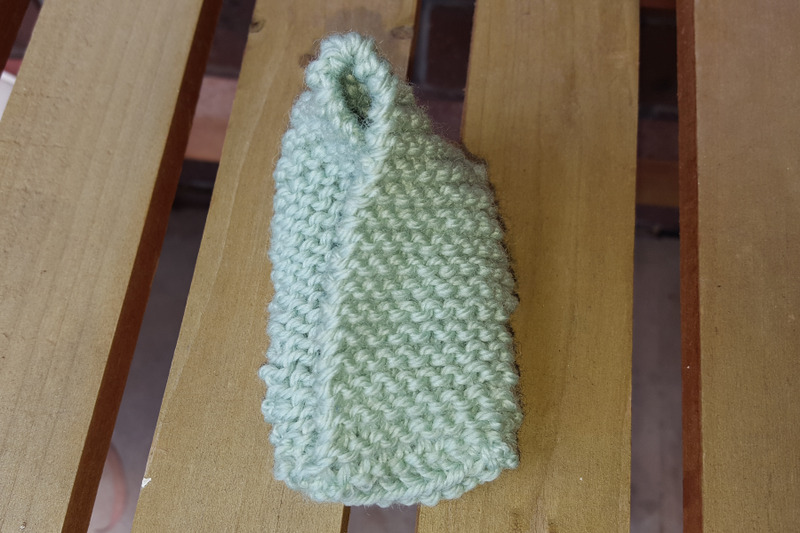 Want to know How to Knit Baby Booties with a more complex pattern? You could try my basic baby bootie pattern, but be warned - this pattern requires you to do increases and decreases, short rows to shape the top of the foot and the toes and an eyelet row but the end result will look more like a traditional baby bootie than either of the two garter stitch patterns on this page.